Starring Mexico’s leading man Mauricio Ochmann, and Telemundo’s sweetheart, Fernanda Castillo, the dramedy Ya Veremos arrives on Digital and On Demand November 20 from Lionsgate. 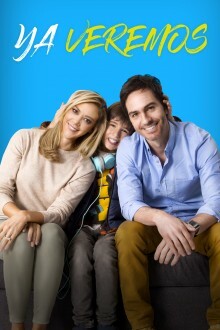 The film tells the story Santi (Emiliano Aramayo), a child who has had to deal with the separation of his parents, Rodrigo (Mauricio Ochmann) and Alejandra (Fernanda Castillo). They are required to meet once in a while, as they share their child’s time. One day they receive the news that Santi must undergo surgery so as not to lose his sight, so Santi makes a wish list and asks to fulfill it together with his two parents, before the operation. Rodrigo and Alejandra must learn to coexist again, embarking (without suspecting it) on a trip that, in the end, will make it very difficult to separate again. Ya Veremos will be available on Digital in both HD and SD for the retail price of $9.99. From the Director of Pulling Strings and A La Mala (Pitipol Ybarra,) Ya Veremos tells the story of Santi (Emiliano Aramayo), a preteen who, is dealing with the recent separation of his parents, Rodrigo (Mauricio Ochmann) and Alejandra (Fernanda Castillo.) Despite their divorce, Santi’s parents are both desperately devoted to their son. When the three learn that Santi has a medical condition that could jeopardize his eyesight, Santi’s father encourages him to make a list of places and things he wants to see and do before losing his sight completely. Santi immediately obliges with an elaborate list but with one condition – the estranged couple must come together to help him fulfill his dreams. As the three embark on the amazing, sometimes whacky adventure, the couple must learn how to live together for the sake of their son. But, will the adventure open their eyes and make separating impossible? We’ll see….